When you know you need to visit a particular city or town in British Columbia, use this page to find BC inns in that location. Will your job take you to Vancouver for a meeting? Enjoy the business travel amenities of Vancouver Bed & Breakfasts offering high-speed internet and a printer. Are you planning a trip to Vancouver Island? Find the British Columbia B&B member inns on the Island with one click. Whether your travel is born from a need to ski at Whistler or the desire to celebrate the birth of a grandchild in Kelowna, this is the page for you. 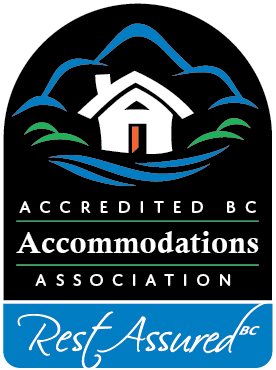 Each link provides a list of BC inns you know you can trust to be welcoming, clean and professional. Your innkeepers will feed you a delicious breakfast each morning, and tell you as much about their area of BC, Canada as you would like to know. Experience a home away from home, where you can enjoy the company of others along with lodging offering the “personal touch” at our member BC inns.